Today the increasing number of cyber attacks are targeted on individuals and small size businesses. The attacks are aimed at robbing an individual’s identity which is referred to as the identity theft. Thus, a stolen information, such as driving license detail or social security number or other online credentials are predominantly used to impersonate the victim to accomplish malicious activities online. Such activities may also help an impersonator to post something unlawful online or open up a credit account on the victim’s name or rob the victim’s funds. In order to accomplish these malicious intentions, a cybercriminal may implant a malware in the system and in such unanticipated situations, your system requires a virus protection to steer clear from such dangers. Sometimes, even the tech-savvy minds stumble upon this question! On the internet, online fraudsters use all kinds of tricky and dishonest ways to access personal data of a user. In the process, the first thing they do is deploying malware on the victim’s computer which is capable of stealing information by laying low and controlling key areas of the system. A cybercriminal makes use of phishing emails to trick users into disclosing their passwords or other valuable information. They also spy on the keystrokes and other activities, or may even watch over the network activity to grab all information that is most important to steal personal data. If the victim has a robust antivirus software installed on their computer then all such malicious activities can be taken care of with ease. The antivirus program will immediately sense the unlawful activities and report it to the user or take necessary actions on its own. Sadly, it is only by the first bill that you receive or if you are notified that the bank account has been drained completely you will come to know about the malicious activity. Fraudsters make use of the complex schemes to make high-costing calls, for e.g., they will call foreign destinations, and in turn, the victim will get a kickback from the premium number operator. In some worst cases, people tend to find out only when a debt collector knocks at their door to collect payments for purchases they never made. How to stay safe from identity theft? The time factor and the scope of the theft determine the remedy part. Otherwise, the damage done at times is irreversible. The best thing to do is to intimate the respective authorities about the fraud at once a user has sensed it. This will curb all the account activities and in some cases, the fraudster can be quickly tracked down. But in other situations, it’s not that easy. Install Comodo Antivirus software and stay secure from online criminals who are vicious and tricky. 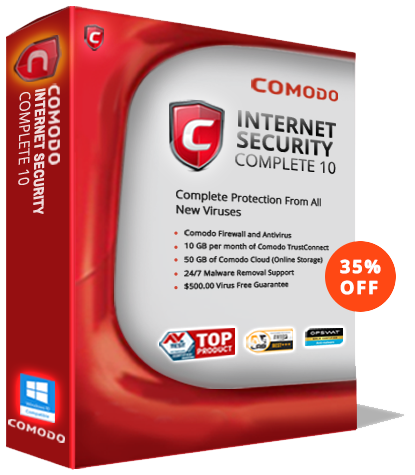 Our antivirus program provides unmatchable virus protection with the Comodo’s award-winning technology. It is lightweight and comes packing a super fast cloud scanner that blocks malware even if you don’t have the latest updates. Effortlessly prevent ransomware and zero-day attacks by locking them in a secure container where they cannot infect your computer. For more details visit our official page!